NiteSite SpotterXTREME from Agrigame UK Ltd.
Part of the NiteSite family of night vision systems, the SpotterXTREME completes your night hunting experience. 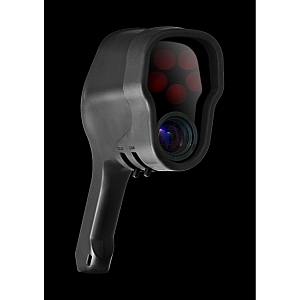 The perfect companion piece to a NiteSite scope mounted unit, SpotterXTREME uses the same infrared technology in a compact handheld form factor. Lightweight and manoeuvrable, its 20x optical zoom allows you to scan the darkness for eyes, zooming in to identify prey to ensure that you target only the quarry you intend, without disturbing them, and without the need for lamps or lights. Plug in a digital camera using the 3.5mm 4 pin video output jack and you can record all that the SpotterXTREME sees, ideal for the hunter that enjoys reviewing hunts after the fact.